When youre looking for space, peace and quiet, land - weve found the property that provides the lifestyle youve been dreaming of! 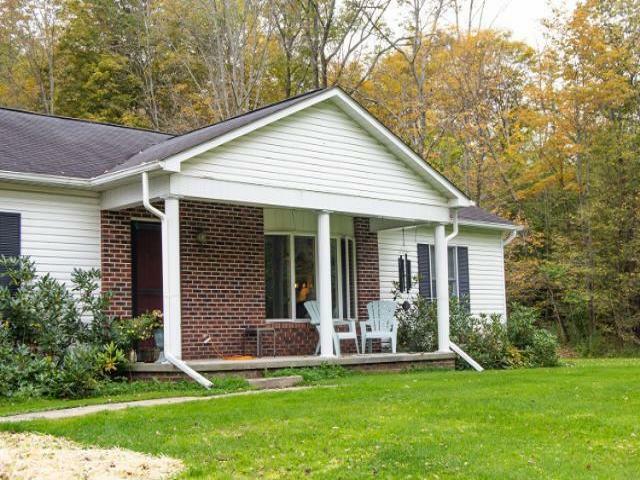 Located on 10 luscious acres this sprawling newer built 3+ bedroom, 2 bathroom ranch home offers something for everyone! Spacious eat-in kitchen with lots of cabinetry and counter space opens to large living room with bay window overlooking your front yard. Each of the three bedrooms are quite large in size and features ample closet space. Master suite is an added bonus! Now that youve toured the main story, get ready to be "wowed" by the full walkout basement complete with rec room, man cave/workshop, utility room, and two bonus rooms which could be converted to additional bedroom space! Youll never have to worry about shoveling the snow off from your vehicles during the winter months - the 3 car garage gives enough parking space for everyones cars! The deck overlooking the backyard is the perfect spot for entertaining family and friends! When you want to be away from the hustle and bustle of city life, but still close to all of its amenities, look no further than this beauty on Songbird Road! Appliances negotiable.